Richard Jankovich breathes new life into select songs. When your musical output consists of remixing and producing other people’s songs, your agenda is a little different than that of most. But then, Richard Jankovich—aka “Pocket”—is the remixer’s remixer. As Pocket, Jankovich has remixed Beck, Radiohead, Kristin Hersh, Of Montreal, Elk City, Joanna Newsom, Mendoza Line, Dirty on Purpose, Eskobar and countless other musicians. As he explains it, remixing singles out of the album context “lets the songs live on their own.” Collaborating with Robyn Hitchcock on an original Pocket composition, the singer brought his own lively musical persona. 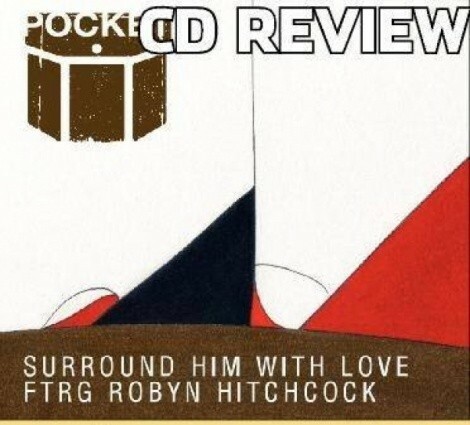 The Pocket song Hitchcock selected, “Surround Him With Love,” surprisingly was one of Pocket’s darker numbers. But then, Hitchcock adds a little lightness to a setting uncharacteristic for him with its dance beat and electronic textures. The song with Hitchcock, the first in a year’s worth of collaborations set to culminate in an album by year‘s end, was released March 31. The song is also remixed by electropoppers the Somnambulists, LA-based KKS, and Japanese electronica artists The Stealth. The B-side is comprised of the song “Let Her Close Her Eyes,” featuring musician/comedienne Shonali Bhowmik (Tigers & Monkeys). Other musicians performing songs for the project include Steve Kilby of the Church, Tanya Donnelly, and Mark Burgess of the Chameleons UK. Remixers include novelist Rick Moody, The Mighty VIC (the Beatnuts), David Fischoff (Secretly Canadian), Ming (Ming & FS), Beatallica, Mascott, Alien Skin, Glenn Mercer of The Feelies, Mux, Elk City, The Wrens and others. Earlier this year, the single with Hitchcock was featured on the NBC TV show Kings. It wouldn’t be surprising if his music was heard in more high-profile places, since his work combines disparate musical genres almost seamlessly in a mix that is always highly listenable.